In terms of the Regulated Security Services in 2015, it was pretty much a non-event, other than the appointment of a new Chief Executive of the Security Industry Authority, writes Interconnective’s Bobby Logue. Margins of security companies continued to fall and the Regulator was given extended powers in terms of the Proceeds of Crime Act. 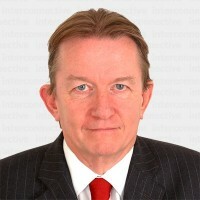 Peter Webster reviewed the wider security picture on Infologue.com last week in his blog – Peter Webster – The issues that shaped the security industry in 2015. Finally, the spectre of workplace violence raised its head further in the security industry and it is pleasing to see the Regulator working with the industry to reduce violence through training and education. It appears that the current Government has placed the issue of Business Licensing and other regulatory reform on the back burner. With the acts of terrorism, and dwindling police numbers, it is my opinion that the Government needs a vibrant security industry to support the public. In Stuart Lowden’s recent article on Infologue.com, Forget Business Licensing, we need much more than that.., he highlights the dilemma faced by companies who wish to compete on quality and not price. There is a desperate need for quality companies to perform to a higher standard. Whilst the Approved Contractor Scheme standard facilitates the ability to score higher marks, the scheme should be seen as no more than an entry to the security industry. Having said this, there are an estimated 4200 businesses that operate within the regulated security sector, yet only 808 achieve the ACS standard. It is important for the security industry to take responsibility for raising standards with or without the Regulator, who is obligated by law to raise standards. I am of the opinion that the regulator should be responsible for raising minimum standards only, with the industry taking responsibility for higher standards. Reduced margins continued to dominate the security industry with evidence of financial strain on security companies coming to the fore. It is my belief that raising standards could act as a differentiator instead of price in the market place. Turning to the Infologue.com Top 30, we believe that the estimated turnover of the regulated security sector is higher than previously estimated at £3.9 billion. The Top 30 security businesses make up 77% of the regulated security services market. In the Top 30, 70% of security businesses are within facilities services provider groups. The Top 30 represents 77.96% of the regulated security sector. The Infologue.com Top 30 mirrors the regulated private security sector, which includes companies operating within the following security disciplines: Guarding, Cash and Valuables in Transit, Close Protection, Door Supervision, Public Space Surveillance (CCTV), Security Guarding and Key Holding. Please read our health warning below our Top 30 Table. The above table is based on estimates and historical published data of annual turnover and should be viewed only as a guide to the approximate size of the largest companies in the manned security industry. The turnover is calculated on an annualised basis as of end November 2015 and relates only to revenue derived from the regulated sector of the Private Security Industry. Some companies have non-related areas of business in their statutory accounts which Infologue.com attempts to estimate and factor out of the estimated turnover. Whilst some companies are now providing information on turnover to Infologue.com, all figures will not be accurate as statutory information can be up to two years out of date. Infologue.com welcomes input from the companies in the Infologue.com Top 30 and will amend any verified inaccuracies as soon as possible. Therefore these figures should be treated with caution and be regarded as a best guess. The Infologue.com Top 30 UK Companies in the Regulated Security Sector 2015 is an exclusive production of Infologue.com and may not be replicated without the express written permission of the producers thereof.